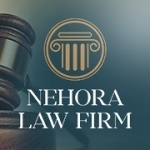 Nehora Law Firm is a personal injury firm that is dedicated to representing accident victims and their family members. The firm specializes in cases involving traumatic brain injuries, complex regional pain syndrome and other catastrophic injuries. Accident Lawyers: The word accident is not a technical legal term with a clearly defined meaning. Speaking generally, but with reference to legal liabilities, an accident means any unintended and unexpected occurrence which produces hurt or loss. But it is often used to denote any unintended and unexpected loss or hurt apart from its cause; and if the cause is not known the loss or hurt itself would certainly be called an accident. The word accident is also often used to denote both the cause and the effect, no attempt being made to discriminate between them. Construction Lawyers: Construction law is a branch of law that deals with matters relating to building construction, engineering and related fields. It is in essence an amalgam of contract law, commercial law, planning law, employment law and tort. Construction law covers a wide range of legal issues including contract, negligence, bonds and bonding, guarantees and sureties, liens and other security interests, tendering, construction claims, and related consultancy contracts. Construction law affects many participants in the construction industry, including financial institutions, surveyors, architects, builders, engineers, construction workers, and planners. Personal Injury Lawyers: A personal injury lawyer is a lawyer who provides legal representation to those who claim to have been injured, physically or psychologically, as a result of the negligence or wrongdoing of another person, company, government agency, or other entity. Personal injury lawyers tend to practice primarily the area of law known as tort law. Even though personal injury lawyers are trained and licensed to practice virtually any field of law, they generally only handle cases that fall under tort law including work injuries, automobile and other accidents, defective products, medical mistakes, and slip and fall accidents.